THE PANTHER LINE: Designed to respond to the requirements of cottage industry, salespeople, farmers or anyone who needs to secure or power their activity at the best price/quality ratio. 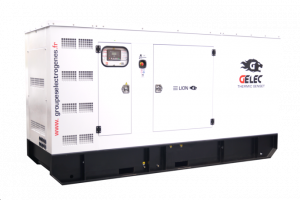 From 9 to 68.5 kVA, our generators are “industrial” motor systems with a revolution speed of 1,500 rpms, 12 or 24 volts, in a hardened steel casing, with stainless steel fastenings and locks, which guarantee long life. A DEEPSEA controller and a STAMFORD regulator demonstrate the quality of our equipment. 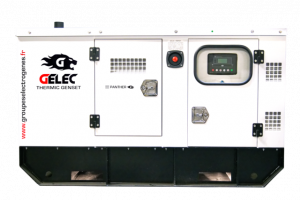 These electric generators are perfect as main energy sources, as supplemental sources or for backup. THE TIGER LINE: Enter the world of industry. From 88 to 357 kVA, our YC drives combine power and reliability. The 6 turbo or intercooler cylinders of 6.8 to 11 liters of capacity guarantees impressive toughness in the face of the fiercest power demands. All of the electrical equipment is 24 volts and guarantees immediate startup. 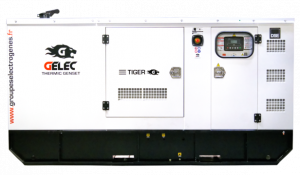 The TIGER line is designed to operate 24 hours a day at 70 or 80% power for tens of thousands of hours, to secure a retirement home, a Data-Center, a farm or power a base camp. 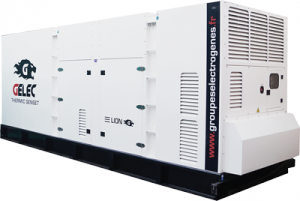 THE LION LINE: Extended power from 440 to 1,700 kVA available open, in compartments or containers (the RHINO line). We use YC drives but also Cummins, Deutz, MTU or Baudouin. 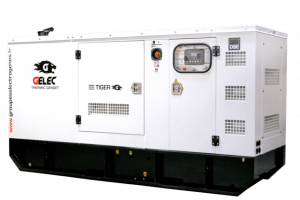 Extremely powerful, these electric generators are fitted with 6 to 12 cylinder motors that are capable of supporting high demand over long periods. Great care has been taken in their design to exploit their power to the maximum and guarantee the best electrical/mechanical ratio. 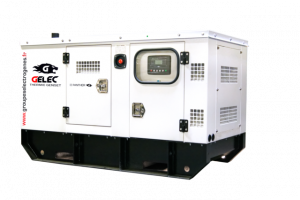 All of our motors are “Heavy duty” for 24 hour use as a main or backup source and numerous applications are available for operations using 100% vegetable oil, co-generation, PV/Diesel hybridization, or grid connection and feed. You will be impressed with both the open or compartmentalized version!